Update: Today is the final day to lock in your hotel reservations now before they get more expensive! For a limited time, you can earn 100,000 points on the Chase Marriott Bonvoy Boundless Consumer Card. You can read more here. For a limited time, you can earn 100,000 points on the Marriott Bonvoy Business™ American Express® Card. You can read more here. You can view current categories for Marriott hotels here. Book stays before 3/5 local hotel time to lock in current rates for future stays at hotels that are going up. You can book stays up to 350 days in advance. Almost all hotel stays are cancellable for free until a certain amount of time before the stay (read the fine print). If you have a reservation at a hotel that is going down then just cancel and rebook the stay on 3/5 when this year’s category changes go into effect. Most hotels chains reorganize their categories yearly to keep them current with the average rates that they charge. Legacy Starwood hotels still have no capacity controls on standard rooms. The good part about that is that if a major event is in town and rates are quadruple what they normally are, you can still use the regular amount of points as long as the hotel is not sold out of standard rooms. 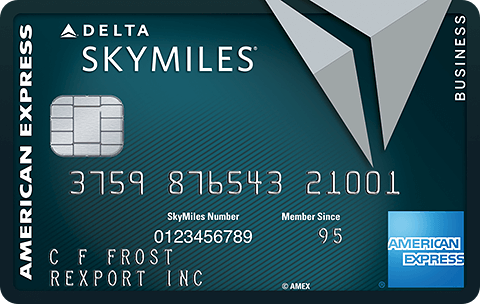 You can request a points advance to lock in current rates as long as you have the points in your account 2 weeks before your stay. A Marriott manager will be required to complete the override and honor the old category, so there will be some hassle factor to get this to work. Be prepared to spend a lot of time on the phone finding a manager that knows how to do the override if you go down this route. Hotels going up from category 6 to 7 will no longer be bookable with anniversary nights from cards like the Starwood Luxury AMEX and the discontinued Ritz Carlton card. However when off-peak nights are introduced later this this year you should be able to use these nights on category 7 hotels. Note that you won’t be able to change the dates on a reservation after the price goes up, your only options are to use the stay or cancel it and get your points back. You can make one night reservations if you’re not sure how many nights you want to stay, though you won’t be able to take advantage of a free night on a 5 night point stay like that. In addition to hotel category changes, higher category 8 pricing will go into effect on 3/5. However peak and off-peak pricing won’t be added until later in 2019. Every 5th night will remain free on award stays. The Sheraton Gateway Los Angeles Hotel is a great airport hotel and becomes a good value dropping from category 5 to 4. Oddly enough the lower end Four Points by Sheraton LAX goes up from a category 4 to 5. 2 W hotels in LA go down from a category 7 to 6, making them a good value and eligible for anniversary nights on the SPG Luxury AMEX. The Naka Island, a Luxury Collection Resort & Spa, Phuket used to be an all-suites hotel with SPG costing a points fortune. It will drop down from category 7 to 6 and become eligible for anniversary nights on the SPG Luxury AMEX. The Sheraton Maldives Full Moon Resort & Spa will drop down from category 7 to 6 and become eligible for anniversary nights on the SPG Luxury AMEX. This is a lower end Maldives resort, but a decent option on a budget. This hotel doesn’t require a pricey seaplane transfer as most Maldives resorts do. Israel gets hit hard again with the Renaissance Tel Aviv Hotel climbing from a category 5 to 6, making it ineligible for anniversary nights on the base Starwood and Marriott cards. The Jaffa, a Luxury Collection Hotel, climbs from a category 6 to 7, making it ineligible for anniversary nights on the SPG Luxury card. Several Hawaii hotels are going up in price, including the Residence Inn Maui Wailea and Sheraton Waikiki. Many London hotels are moving up as well. The Westin Venice, which was supposed to have been a decent category 7 value, will jump to category 8, making just as pricey as more luxurious options there. The W Hong Kong, which was supposed to have been a decent category 7 value, will jump to category 8. Category 8 pricing goes up from 60K points to 85K points, so you’ll want to make bookings at those hotels now. Which hotels will you book before rates go up? 93 Comments On "Final Hours To Lock In Hotel Bargains Before Marriott 2019 Category Changes: Category 8 Pricing, 346 Hotels Getting More Expensive, 37 Getting Less Expensive"
If i book a stay, can i MODIFY dates and lengths of stay after 3/5 without getting charged the new rate? Wow, kol hakavod for this detailed information ! ” If you have a reservation at a hotel that is going down then just cancel and rebook the stay on 3/5 when this year’s category changes go into effect.” Before the merger I had booked the westin in cozumel for february 2019. The hotel actually went down in price…Do you think they will credit me the points without canceling and rebooking? They should. Call and ask. Well now I understand the new program name. Waiting over a week for transfer of Marriott points to United Mileage Plus to go through. Flights now not available with points. Good bye Marriott Bon Voy. I’ve been screwed on this in the past. 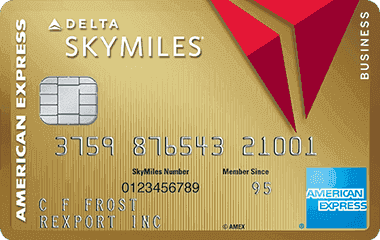 Delta has a 75k promo for the business and personal cards. “You can request a points advance to lock in current rates as long as you have the points in your account 2 weeks before your stay.” does this mean I can book hotels 350 days from march 5th 2019 at the old 60k rates even if I know I want get the points for awhile? as long as I have the right amount of points 2 weeks before the stay? are you sure? If I book with my category 5 certificate a 7 night stay that’s going up to a category 6, then don’t get to use the stay and need to cancel do I get the points back? does the certificate turn into a category 5 or 6? Dan, any recommendations on hotels that will soon be joining the category 8 that should be enjoyed this summer? Looking to use about 250,000 points for my parents to relax after a tough winter. What a huge disappointment. It’s not just that 346 I getting more expensive, compared to 37 less expensive. So many of those that are getting more expensive are in Florida, NYC and California, and are being switched from category 5-6, making the free night for anyone but Luxury SPG holders highly deflated. Make no mistake, this was a very calculated move on their end. Is there a link for this on Marriott.com? would i be able to lock in the renaissance in tel aviv with my free night anniversary by booking by march 5th if i don’t receive the anniversary night until may? i have enough points right now. obviously, i would book it for after our card anniversary. dan? how does this impact the anniversary nights? Locked in reservations @ Jaffa in Tel Aviv 50k vs $700+, Its still baffles me how some US properties are Cat 6 (50k) but are available as low as $179-199 cash. With AF going up and peak pricing rolling out (doubtful that it will fall in consumers favor). Will be interesting to see what sign-up bonuses are offered with Bonvoy rollout. Seems like when AF rolls around will have to reassess just how ugly the peak pricing is. Just tried applying for spg consumer card for my wife and they told me I wouldnt receive the welcome offer. She never had this card yet and last marriot sign up bonus she received was over 2 years ago and I closed that card a year ago already. And the last amex card she opened was like 3 years ago. Anyone else have this? Incorrect. They are 8, but all 8s are priced as 7s until 3/5. Uhh.. no. A simple Google search of hotel’s website will show they are category 7.
if I’m not getting my certificate from the spg consumer Amex untill April, will they let me book a stay at one of these hotels that are going up in price, meaning will they let me book in advance with this certificate that I don’t have yet for a later date? @Dan- how about 7 nigh certificates? Are they bookable and will they honor the change to another cat 8 in a few months? On the Bonvoy Brilliant card, will the $300 annual credit work on gift cards to avoid it going to waste if not used on time? If using a cat 5 certificate to book a cat 5 that’s going up to a category 6, what happens to the certificate if the reservation is canceled? How do I know if my category 6 hotel is changing or not? Fort Lauderdale Marriott harbour beach and spa? Should I lock in my points reservation now for December 2019? isn’t today march 3rd? so we have 2 days? no? im just asking to make sure don’t mean to second guess you still unsure where to lock in hotel? In less than 20 hours from now it will be 3/5 in Hong Kong. In less than 33 hours from now it will be 3/5 in NYC. You may cancel your reservation for no charge until March 4, 2019. Any6with help on this ? In the post about the Bonvoy Free night redemptions you say that Turnberry Isle in Aventura should be a possible hotel to book at. Also, based on the current listing (until tomorrow) I should also be able to book at 35k points. When i go to the hotel website they say they are not taking point redemptions at this time – for any date that i tried. Are they not allowing anyone to book at the current (soon to be old) rate? Is there anyway to book with points at the current redemption level? Did you try flex dates? I see the option to try flex dates but when i to view with a points redemption it doesn’t give me the calendar. Also tried it your way of using the flexible search and there appear to a lot of hotels that are not taking redemptions right now for any dates. I am now able to find availability but at the 50k a night rate. Did this rate change already or is it going up from the 50k a night to something higher? Isn’t this a category 6 requiring 50K? It’s 66K before the 25% bonus for transfers in 60K increments, so you would get 66×1.25=82.5K United miles. thank you dan for your time nd if you can kindly post a link to the zev brenner show? What’s up with the lack of availability? It was pretty easy finding rooms with points with SPG, but now there is sparse availability. I thought with status there are no blackout dates, but they only set aside a few rooms apparently – a defacto blackout! Any chance repeat attempts speaking / HUCA would work in freeing up an available cash pay room for points? I’m really beginning to not like Marriott. Beware!! Marriott’s rewards program is a bait n switch scam, theyre spending millions of dollars to promote their Bonvoy and other loyalty programs on blogs and deal sites however once signed up they modify the program and eliminate many of the benefits, check out any of their previous offers and programs to see their misleading record. hey Dan since you are a pro traveler – which hotel cat 6 do you recommend attaching my cert to? somewhere nice and warm during winter months. Plenty of sample options in this post. Where do you want to go? Is there a way to see when a hotel is peak or off peak? Peak pricing won’t be announced until later this year. You wrote that the booking must be made by midnight hotel local time, but I’m still seeing the 60k rate on properties where it’s now past midnight (e.g. Maldives, Dubai). Once it’s past midnight hotel time and hasn’t yet changed, is it safe to assume I have until midnight EST, or if not, when will the switch go into effect? At this point I’d assume it will be based on EST, but no way to know for sure. Hi dan! for a family w 3 lil kids (5 4 and 1) for 2020 winter break 7-10 days which should I consider strongest? or maybe a different option? hi dan I made a reservation for jan 2020 they wrote that the cancelation policy that its not cancelable after march 5 what’s going on ?????? when is yeshiva week 2020? legit crazy all the rooms i booked before 12 am with advance points purchase i locked in rate and now the price in the confirmation went up to 85k so not fair at dan what can i do i have screenshots of booking at the 60k rate? I tried to book hawaii at 4am NY time which is still 3/4 in Hawaii, and new prices are already up. Ritz Carlton Kyoto was only available 4 days, so couldn’t take advantage of 5th night free 🙁 Now the price is at 85k (instead of 60k), If a fifth night opens up, I wouldn’t be able to add it in right? Any reservation booked with Points Advance has gone up in price. You should have taken a screenshot as well as sent yourself an email with prices, which Marriott SHOULD honor. But they may Bonvoy it. I din’t take screenshots, Any luck for old Price ? I just checked my reservation and sure enough they are showing time the higher price. Is there anything I could do now? Prepare to HUCA 9 times until you find a supervisor to fix it. Not a mistake, they were written as going up to 8. They likely appealed it and are staying at 7.
i booked multiple reservations at hotels going up in category before the deadline and they were changed to the higher pts cost. Anyone have success in calling to complain and had positive results to report? I have a printed confirmation with the old points but now my online confirmation has changed to 85k per night. Will they honor it?